Suntop Laser as the first brand in the east of China, as a pioneer in the field of laser cutting, Suntop Laser in the metal processing industry, has led to innovative applications of laser technology in depth. 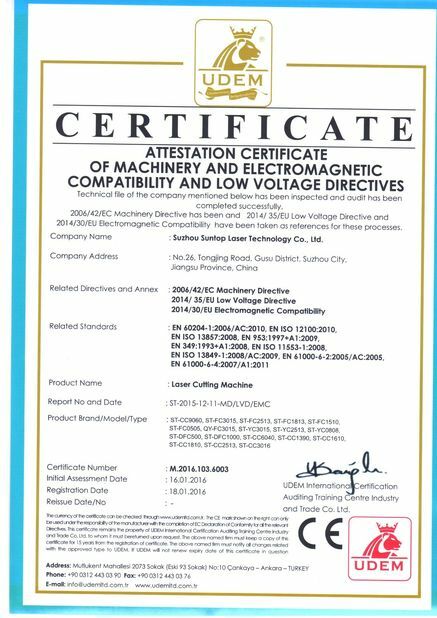 Many years of market accumulation, Suntop laser has become synonymous with high-quality, high-quality products, and efficient service to customers in the formation of a good word of mouth. 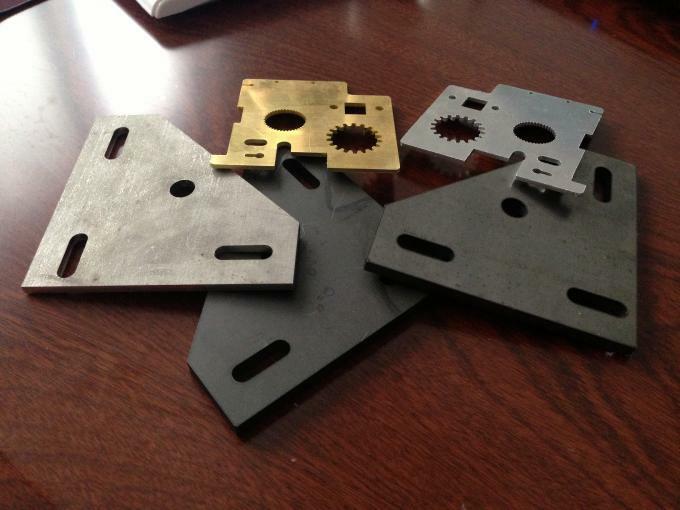 Machine consists of machine host, computer control systems, fiber laser cutting head, chillers, auxiliary decency components. Machine gantry structure, using AC servo motor drive rack and pinion feed, high precision, speed, movement speed up to 60m / min, dual-drive transmission. Bed gantry, machine welded structure, beams cast aluminum structure, aging treatment after annealing, roughing, finishing, can completely eliminate stress welding and machining, rigid, high precision, can be maintained long-term use not deformed. X, Y, Z axis are imported servo motor, high precision, high speed, high torque, high inertia, stable and durable. Ensure the machine's high speed and acceleration. We adopt the fiber laser imported from USA instead of other brand fiber laser source, stable performance, can be adapted to all metal materials processing, the carbon steel cutting thickness up to 10mm, stainless steel thickness up to 4mm. 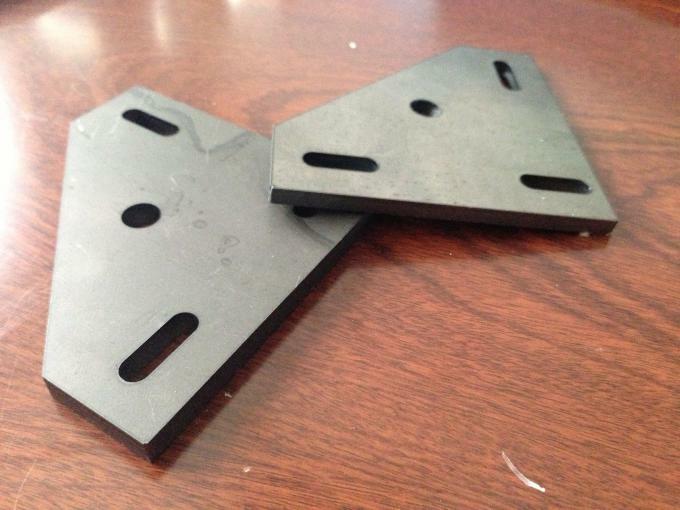 The laser cutting speed similar as other brand 1000W fiber laser source. 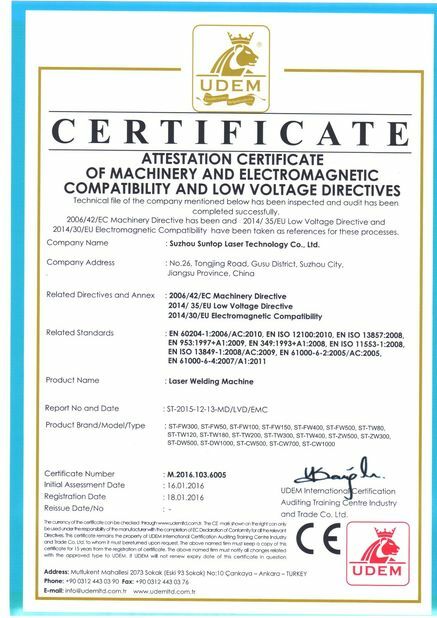 Special cutting cutting software, integration of a number of laser cutting control specific modules, powerful, good man-machine interface, easy operation. The cutting head selection of imported fiber laser cutting head as well as dedicated capacitive sensing, high precision sensor, responsive, performance of the most stable and reliable. Control systems; use of computer-controlled electric table translation is complete workpiece cutting, cutting and so on. Cutting can be done in any graphic editor and sports plane. Machine main parts adopt the Europe, USA, Japan and Taiwan famous brand. QY-FC2513-P series bed with bed gantry, machine welded structure, beams constructed of cast aluminum after annealing aging treatment, and then roughing, finishing, can completely eliminate stress welding and machining, rigidity, precision high, can be maintained long-term use is not deformed. Machine Beam with the overall cast aluminum parts, reduce weight beams, to ensure good stability, high-speed operation can meet the machine. Machine weighing 4 tons, variable analysis technique using structural dynamic design principle and finite element method designed machine base has excellent static and dynamic performance. Our 500W fiber CNC laser cutting equipment adopts a world-class manufacturer of fiber laser USA nLIGHT brand which the performance far more than the other kinds of same power fiber laser. Fiber laser is a new solid-state lasers new developments in the international arena, it has a cooling area, good beam quality, small size, etc., with bulky gas lasers and solid-state lasers has obvious advantages, it has gradually developed into a high field precision laser processing, laser radar systems, space technology, laser medicine and other important candidate. Modular design, "plug and play"
Integrated optical - optical coupler, or shutter cutting a wide range can be cut stainless steel, carbon steel, aluminum, copper and other metal materials for all . Using single junction diode pumped laser as the pump source fiber lasers, fiber lasers will have a long life characteristics, therefore, the life of fiber lasers up to 100,000 hours. Fiber CNC laser cutting equipment optical path entirely composed of fibers and fiber-optic components, in addition to the optical path portion of the semiconductor laser is the main parts of fiber lasers cost. Fiber lasers have excellent thermal performance, high electro-optical efficiency, saving water and electricity, is particularly important for long-term maintenance-free use, can save a lot of money and time to maintain and improve work efficiency. 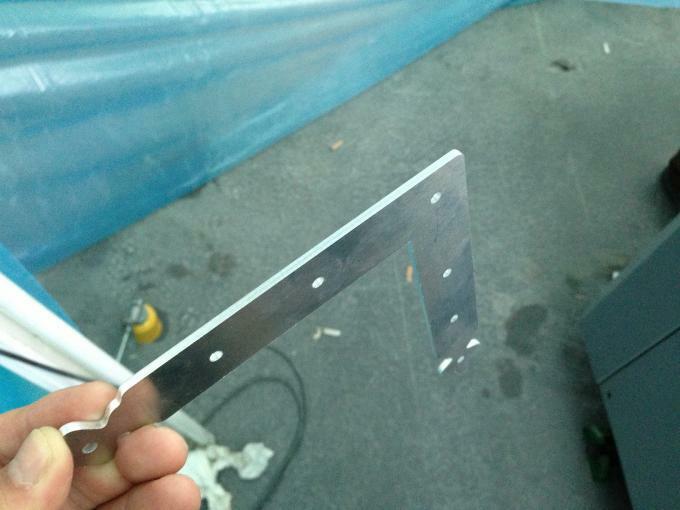 Stainless steel, carbon steel, aluminum, copper, manganese, nickel, etc. 1. Cutting system uses high-speed capacitive sensing focusing servo cutting system, rapid response surface uneven situation, and precise control of the laser focus position, ensure the cutting quality. 4. With high-precision capacitive sensing automatic tracking system, under the control of the system, it is possible to achieve a very stable Z-axis float function to prevent cutting sheet metal processing highly error or plate heat stress and deformation caused by uneven. 5. Cutting head with flexible design, with fast anti-collision equipment protection and flexible automatic reset function automatically stops when a collision occurs unexpectedly cut and flexible deviation and reset, and automatically returns while continuing to cut to the original cut-off point , so that the whole cutting work is not affected. Adopt the SUNRISE well-known brands, professional laser chiller, good stability, high accuracy. With dual temperature control and the laser cutting head can be different temperature control, dual temperature control, more effective and ensure stability of the laser cutting head. 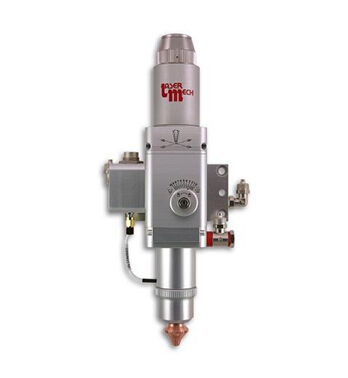 Features include: pressure alarm, high and low temperature alarm, voltage alarm, and a variety of fault alarm. After time support DXF, PLT and other graphical data formats accepted international standard G code Mater Cam, Type3, Wentai software generated DXF import graphics, text outlines AutoCAD direct extraction system transferred graphic image data, you can edit the layout (like zoom , rotate, align, copy, combination, smooth, merging operation) of the imported data to automatically check the legality, such as: closed, overlapping, self-intersecting, distance between the detection of graphics. A cutting type (female cut, Yang cut), and external relations, interference relationship, automatic calculation of introducing cutting patterns, export line. 304 stainless steel, 201 stainless steel, high carbon steel, mild steel, aluminum, aluminum, brass, copper, nickel, manganese, etc. almost all metal materials.